You must first install the patch on a node where a CMS server is located. According to some SAP-BO support engineers the safest choice in a distributed environment is to install the FixPack one node/machine at a time. So if you have multiple CMS nodes, install on those first one at a time, then install on the other servers one at a time. This makes for a VERY lengthy FixPack deployment, but it is the safest method. I have also had several senior support engineers confirm that the only requirement is to patch 1 node hosting a CMS first, then after that patch is completely started you can patch all of the rest, staggering them by 5-10 minutes each. Stop all BO servers except for a single CMS, Input/Output File Repository Servers, CMS database, and Server Intelligence Agent (SIA). If a CMS in the cluster is not up and running the install will not work properly or at all (this is true for all servers, regardless of their role). The SI Agent must also remain up on all nodes to be patched. 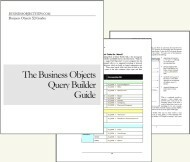 EVERY Business Objects component must be on the same version. If you patch a dedicated CMS server, you must also patch any other nodes that are a part of your cluster, such as processing servers or Live Office servers, etc. Also any clients, Designer and DeskI need to be patched as well. Another reason to use WebI exclusively, no client patches needed (unless we are talking about WebI Rich Client). Don’t forget to redeploy the patched BusinessObjects web components. The deployment method will vary based on your original web component deployment. 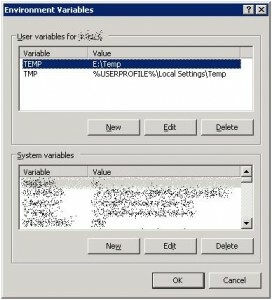 Temp Directory: When working with the Windows Installer Package, be sure to either manually extract the installation files to a desired location, or to change your user’s “TEMP” environment variable to the true location to which you want these very large and many files extracted. Actually, on second thought, ALWAYS change your “TEMP” path environment variable to a location with enough space (a few GB); I have seen the installer, in the midst of installing fill up my C: drive with temporary files that it works with after all of the unpacking and hours into the patch installation. Be careful here, plan ahead. These are just a few of my notes and pointers for now on the top of my head. I will update this article later with my more complete notes or with any of your suggestions offered through the comments below. I’ve been testing 3.1 for many months now and can’t seem to find the right combination of service packs and/or fixpacks. We wanted to go live on the most recent patch level possible but have had so many significant issues that we’ve had to do many reinstallations with different combinations and I’m wondering if you know what the most stable one is? Our implementation is relatively large (6,000 users in prod) and we use a bit of everything – Webi, Crystal, Xcelsius, Dashboards, etc. So far I have tried 3.1 with FixPack 1.8; 3.1 with SP2 and FixPack 2.7; 3.1 with SP2, FixPack 2.7 and SP3. The first one was ok but would not be very recent. The others have significant issues, primarily when trying to schedule Crystal or Webi reports. One issue was fixed by FixPack 2.7 but then reappears with SP3 and according to support, that’s because SP3 was built only from FixPack 2.5. I’m wondering how to develop a long-term patch management strategy for BO when the service / fixpacks are not cumulative. Hi Cecelia, BO Support told you right. The fixes in FP 2.5 and in SP3 are the same. This is actually normal, that is to say that new Service Packs are usually started concurrent with the FP x.5 or x.6. This is one reason why you usually want to avoid installing an SP without at least one FP release. Having said this, FP 2.8 and FP 3.1 are equal in their fixes, but SP3 gives you some new color schemes and something else intangible. FP 3.1 was just released at the end of July. I do understand and agree with your frustration. Where is the stability we were promised. All I am seeing is bloat lately and bugs. I am going to start a new article on XI 3.1 rants and raves and also another on patches. I hope you will find those and share your thoughts. Remember that the system environment variable TEMP trumps the user environment variable TEMP. And the fix pack installer WILL fill up your C:\ drive. We have ‘BO XI 3.1 SP3- 12.1.6.1116’ in PROD and I am reviewing patches. I believe there r 5 patchs after above ver: 3.1 to 3.5, correct? Because it sometimes talk abt XI 3.1 SP2 FP 2.2, for e.g. ADAPT01371367. How can I avoid confusion and just concentrate on patching XI 3.1 SP3? Any document links? Hi Parik, don’t be discouraged by the mention of “SP2 FP 2.2” in the “fixed issues” document, that may just be when the bug was discovered. In general if you want to install a fix pack it is usually advisable to look at the highest available fix pack applicable to your Business Objects XI system’s service pack level. Then you should review the fix pack’s release notes for known issues. If none of these known issues are deal breakers then you can proceed. Determining fixed issues applicable to your installation can be more complex because it would require you to individually study all of the fixed issues for each fix pack that is greater than your patch level. It would be nice if SAP BusinessObjects could provide an online tool that allows you to put in your current patch level and targeted patch level and then the tool would output your expected fixed issues and known issues. We just upgraded our sandbox to SP3 FP5, and will eventually be rolling this out to our Dev, QA and Prod systems, however,a concern that I have is with installing the latest client tools for 3.5. Are there any known issues that you are aware of with installing these? Any special steps that need to be taken to avoid major issues? Reason I ask is that when we installed the 2.6 client tools, we encountered numerous issues installing them, and all the issues were not related, which made it very frustrating to the end users. Hi Peter, I can tell you that I had lots of trouble installing Fix Pack 3.4 on one of my machines and on many others. The Business Objects installer seems to have trouble with the “Software Inventory Tool”. I suggest you test as much as possible on the different client builds that may exist in your organization. Watch for any troubles with the “Software Inventory Tool”. As I recall, attempting to open the “Software Inventory Tool” before patching also resulted in a crash of that application. Is there a way we can make the setup.exe file in the taskmanager use more memory? Will using PAE switch help in overcoming the 32 bit architecture limitation? This will surely make the installation process faster. In my experience the only way to get it to run faster is to NOT install too many language packs on the server. Those multiply the duration. Without them I don’t think I ever thought it ran too long. If you are not installing lots of language packs then I think either you are expecting too much or your hardware is too inferior for Business Objects. Hi JK, I thought of one more thing. Sometimes anti-virus applications become over-protective and REALLY slow things down. Please try to disable your anti-virus software while installing Business Objects and you might see a performance boost. I have yet another question. We have roles created in our BW system which we then import into our BOE system. I noticed that when we import them, they are prefixed with the logical system name of our SAP system. i.e BWD~100/rolename. Is there any way to remove this prefix, or do we have to create the security in each BOE client separately? I seem to get issues when I tried to migrate the security from Dev to QA and it was because of this prefx. Upgrade XI 3.1 SP3 with FP3 or SP4? 1) A: should install the latest fp3.7? B: or try to install SP4 directly? in this way the version 12.3.0.601 becomes 12.4.0.966? 2) an update to one of the two cases A or B on the server, must also be made to the 120 clients using Desktop? Hi Giuseppe, welcome to the web site. 1) SP4 may introduce issues that FP 3.7 won’t have. Service Packs will alter a system more than Fix Packs (as a general rule). So if you are worrying about impact, you may want to target 3.7. As for experience, I have not tested either and certainly not with Desktop Intelligence. 2) In either case, applying a FP or a SP, you will need to patch all client tools used with the system such as Designer, Desktop Intelligence, and Import Wizard. New Installation and Migration with AD. 1) Install XI 3.1 SP3 (12.3.0.601) on a test machine. 2) Install SP4 or fp3 always on the server. 3) Import the old test environment on the new server using AD Authentication always the type of the old server. 4) Leave intact the 160 clients and point them to the new server. Dispose of the old test environment. A) To avoid updating the 160 customer is advised to install the SP3 or fp3? B) The export of all the old test environment to the new server must be done before you install the pach (SP3 or fp3)? c) In the new AD authentication is to be prepared prior to import? Or the authentication credentials are imported automatically? Many thanks to those who help me. A) If users are using any version of Business Objects client tools and you patch the server with a different version you must also require that the users patch their client tools with the same version to remain supportable. In some cases the client tools will not even work if they detect that their patch version does not match the server’s patch version. B) No, this is not a requirement; however, make certain that when you do the export/import that you use Import Wizard with a patch version matching that of your target environment. C) I am not sure about this. I have been lucky to avoid using AD authentication; however, I suspect that Import Wizard can successfully import almost any configuration supported by Business Objects. Hi Julian and friends, here’s hoping that I find advice for a tricky situation I have found myself in. We are due very soon to switch from our PROD(production server) to our DR(disaster recovery) server. We have an outstanding discrepancy between the patch versions on the two servers. the database/filestore and the application binaries. The DR server’s oracle database and FRS input and output filesystems are in backup mode and cannot be used. We have been advised to create an empty database schema and point to that with cmsdbsetup.sh. We are considering creating an empty schema on a test server and pointing to that. Is this a viable choice? If so, how do I use cmsdbsetup.sh for this empty schema? Hi Steven, the suggestion to use an empty database is VERY correct! This is exactly what you should do if at all possible. The trick is how to not loose your configured Server Intelligence Agents (SIA) in the process. Now, I must say that I have never been in your predicament exactly, usually if I have to do such maneuvering I don’t care about preserving anything. 3) Create a new SIA with all default servers that is connected to the new database, give it a distinct port number such as 7400. 5) Log in to the CMC, point the FRS to some new location on your server locally, start them, shutdown all servers except CMS and Input/Output FRS. I hope that helps. But I do wonder if after the install the installer won’t try and start the first SIA; however, the binaries will be patched then, so it should be OK. Many thanks for your advice Julian. It’s good to see confirmation for the right strategy. Updating the binaries is all I’m hoping to do at this stage. What would be my initial connection to the empty database (what options would populate the empty database with the architecture for install)? I’ll create a temporary FRS directory tree for the FRS. Also, I’m considering TARing the existing binaries (bobje and apache) before I start as a fallback if I get into trouble. Hi Steven, good idea on the TAR backup. When you create a new SIA with default servers the CMS software will detect the contents of the DB you have pointed it to and add whatever tables and fields are needed. In other words, if the database is empty it will initialize the DB and take care of everything for you. Sorry for the late response, too busy. Hi Julian, being busy is good. I’ll be connecting to the empty database tonight. Can’t wait to get past this and begin installing FP4.1. 1. Set up, start, and enable all servers. 2. Run ccm.sh -updateobjects [other authentication information]. Is this what you would expect? I’ve finished for today so I’m going to sleep on it and do more tomorrow. A step at a time is fine for now. Hi Steven, yes, that is exactly what I would expect. “updateobjects” will actually add some sample and auditing reports and universes. You don’t need to do this for a DB you will discard. Sounds like you are doing well so far. Good luck tomorrow. Simplistic, but would this work….? What are the pitfalls of attempting this? Hi Steven, I would not recommend it. I have seen strange things before when I simply switched one node from its old cluster to a new cluster. I can only imagine the hidden gremlins that would be present in your proposal of copying the BOE XI binaries. There will be little places where hostnames are captured that you may not find until many issues happen down the road. – will the audit data source need changing to the empty database too? – this utility ends by saying “2. Run ccm.sh -updateobjects [other authentication information].”. Is it this that will populate the empty database with the objects for the install? Sorry for the simple questions, but I have been unable to find a SAP/BO document that describes the process of using an empty database. – do I need to use the reinitialise option ? Hi Steven, it seems that you are not following my steps above. Perhaps I did not explain correctly. For example, in the step “Create a new SIA with all default servers”, you should be using “serverconfig.sh” and not “cmsdbsetup.sh” (BTW, for others we are talking about Unix/Linux systems, on Windows it would be found in CCM). If you use “serverconfig.sh” you will see that things are much more simple. Please review my steps above. Manually re-deploy the web applications. I am not sure which option i need to choose..could you please help me on this..Thank You..
Hi Kalpana, I know I am late replying to your inquiry, but I wanted to answer it anyway for others. I honestly prefer to always manually redeploy web applications. I only trust BO to do it with the default install. I always finish my patching and then generate the WAR files needed using wdeploy -predeployall (more options needed) for my web app server.